Cardiac Surgery is the treatment performed on the heart to resolve any disorder. Cardiac surgeries are generally complicated and it is equally crucial to choose the right surgeon. Indian Healthguru is a medical value provider in India having association with the best cardiac surgeons and hospitals, providing world-class treatment at affordable rates. Affordable: What is the Cardiac Surgery Costs in India? The expenses incurred in the entire travel for the cardiac surgery in India are nearly 30% of that in most Western countries.. I am Hussain from Maldives. I needed ASD surgery but could not fight the right doctor for it. So I searched over the internet and found Indian Healthguru, that promised best service at very low cost. I sent them a query to which I received an immediate reply asking for my detailed medical report. After competing the procedure, I came to India. I received treatment in the best Pediatric cardiac surgery hospital in India and am happy with it. I wish to thank the Indian doctors and Indian Healthguru for their support. Each day, thousands of people in the world have cardiac surgery (also known as heart surgery). Cardiac surgery is used to correct heart problems in children and adults. When medication and catheter-based treatments do not relieve your symptoms then cardiac surgery may be your only option for treatment for a range of heart conditions, including but not limited to mitral valve prolapse (MVP), atrial septal defect (ASD), and coronary artery disease. Facing either traditional heart surgery or open heart surgery to treat disorders occurring in the chest cavity can be a frightening experience. You have several decisions to make including choosing your cardiac surgeon, your hospital, and which procedure you and your physician choose. Cardiac surgery is a surgery on the heart performed by cardiac surgeons. Frequently, it is done to treat complications of ischemic heart disease (for example, coronary artery bypass grafting), correct congenital heart disease, or treat valvular heart disease caused by various causes including endocarditis. It also includes heart transplantation. Our network of top cardiac hospitals in India offer the world class cardiology services including the heart care, advanced treatments, child heart surgery and more. The best cardiac surgeons in India provides specialist consulting, diagnostic and treatment services at different locations in India. The hospitals in India are located at Chennai, Delhi, Pune, Kochi, Jaipur, Chandigarh, Mumbai, Bangalore, Ahmedabad, Gurgaon, Noida, Nagpur, Kerala, Goa, Hyderabad, etc. What are the various Cardiac Conditions? Coronary Artery Bypass Grafting: Coronary artery bypass grafting (CABG) is the most common type of heart surgery. This surgery is used for people who have severe coronary heart disease (CHD), also called coronary artery disease. In CHD, a fatty material called plaque builds up inside your coronary (heart) arteries. Plaque narrows the arteries and limits blood flow to your heart muscle. CHD can cause angina, shortness of breath, and heart attack. 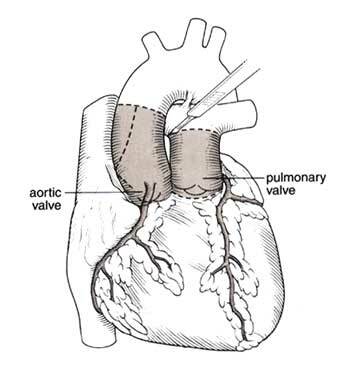 During CABG, a surgeon takes a vein or an artery from your chest, leg, or another part of your body and connects, or grafts, it to the blocked artery. The grafted artery bypasses (that is, goes around) the blockage. This allows oxygen-rich blood to reach the heart muscle. 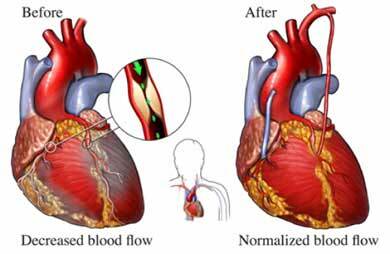 Surgeons can bypass multiple blocked coronary arteries during one surgery. Transmyocardial Laser Revascularization: or TLR, is a surgery used to treat angina when no other treatments work. For example, if you've already had one CABG procedure and can't have another one, TLR may be an option. This type of heart surgery isn't common. During TLR, a surgeon uses lasers to make channels in the heart muscle. These channels allow oxygen-rich blood to flow from a heart chamber directly into the heart muscle. Heart Valve Repair or Replacement: is done to fix leaflets that don't open as wide as they should. This can happen if they become thick or stiff or fuse together. As a result, not enough blood flows through the valve into the artery. It is also is done to fix leaflets that don't close tightly. If the leaflets don't close tightly, blood can leak backward into the heart chambers, rather than only moving forward into the arteries as it should. To fix these problems, surgeons either repair the valve or replace it. Replacement valves are taken from animals or made from human tissue or man-made materials. To repair a mitral or pulmonary valve that's too narrow, a surgeon will insert a catheter through a large blood vessel and guide it to the heart. This procedure is less invasive than open-heart surgery. Arrhythmia Treatment: An arrhythmia is a problem with the rate or rhythm of the heartbeat. Most of them are harmless, but some can be serious or even life threatening. When the heart rate is abnormal, the heart may not be able to pump enough blood to the body. Lack of blood flow can damage the brain, heart, and other organs. Arrhythmias usually are treated with medicine first. If medicine doesn't work well enough, you may need surgery. This surgery is done with a pacemaker who sends electrical signals through the wires to control your heart rhythm. In this operation, the surgeon makes new paths for the heart's electrical signals to travel through. This type of surgery is used to treat atrial fibrillation, the most common type of serious arrhythmia. Simpler, less invasive procedures also are used to treat atrial fibrillation. Aneurysm Repair: An aneurysm is an abnormal bulge or "ballooning" in the wall of an artery or the heart muscle. This bulge happens when the wall weakens. Pressure from blood moving through the artery or heart causes the weak area to bulge. Over time, an aneurysm can grow and burst, causing dangerous, often fatal bleeding inside the body. Aneurysms in the heart most often occur in the heart's lower left chamber (the left ventricle). Repairing an aneurysm involves surgery to replace the weak section of the artery or heart wall with a patch or graft. Heart Transplant: A heart transplant is surgery to remove a person's diseased heart and replace it with a healthy heart from a deceased donor. Your doctor may recommend a heart transplant if your heart is so damaged or weak that it can't pump enough blood to meet your body's needs. This condition is called heart failure. This type of surgery is a life-saving measure that's used when medical treatment and less drastic surgery have failed. Patients on the waiting list for a donor heart receive ongoing treatment for heart failure and other medical conditions. Ventricular Assist Devices: VADs are mechanical pumps that are used to support heart function and blood flow in people who have weakened hearts. Your doctor may recommend a VAD if you have heart failure or if you're waiting for a heart transplant. You can use a VAD for a short time or for months or years, depending on your situation. Depending on a patient's heart problem, general health, and other factors, he or she can have open-heart surgery or minimally invasive heart surgery. Open-Heart Surgery: Open-heart surgery is any kind of surgery in which a surgeon makes a large incision (cut) in the chest to open the rib cage and operate on the heart. "Open" refers to the chest, not the heart. Depending on the type of surgery, the surgeon also may open the heart. Open-heart surgery is used to bypass blocked arteries in the heart, repair or replace heart valves, treat atrial fibrillation, and do heart transplants. Increasing numbers of surgeons have started to use off-pump, or beating heart, surgery to do CABG. This approach is like traditional open-heart surgery, but surgeons don't use a heart-lung bypass machine. Off-pump heart surgery isn't right for all patients. Minimally Invasive Heart Surgery : For minimally invasive heart surgery, a surgeon makes small incisions in the side of the chest between the ribs. A heart-lung bypass machine sometimes is used for some types of minimally invasive heart surgery. 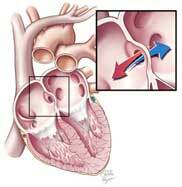 Minimally invasive heart surgery is used for some CABG and maze procedures. It's also used to repair or replace heart valves and insert pacemakers or ICDs. One type of minimally invasive heart surgery that's still being developed is robotic-assisted surgery. For this surgery, a surgeon uses a computer to control surgical tools on thin robotic arms. The tools are inserted through small incisions in the chest. This allows the surgeon to do complex and highly precise surgery. The surgeon always is in total control of the robotic arms; they don't move on their own. Who needs a cardiac surgery? Cardiac surgery is used to treat people who have certain heart diseases and conditions. If other treatments—such as lifestyle changes, medicines, and medical procedures—haven't worked or can't be used, heart surgery may be an option. Cardiac surgery is used to treat heart failure and coronary heart disease. It's also used to fix heart valves that don't work right, to control heart rhythms, and to replace a damaged heart with a healthy one. What are the Preparationa for the Surgery? There are many types of heart surgery. The type you need depends on your situation. One person's experience before surgery can be very different from another's. Some people carefully plan their surgeries with their doctors. They know exactly when and how their surgeries will happen. Other people need emergency heart surgery. Others are diagnosed with blocked coronary arteries and are admitted to the hospital right away for surgery as soon as possible. If you're having a planned surgery, you may be admitted to the hospital the afternoon or morning before your surgery. Your doctors and others on your health care team will meet with you to explain what will happen. They'll give you instructions on how to prepare for the surgery. You also may need to have some tests, such as an EKG (electrocardiogram), chest x ray, or blood tests. An intravenous (IV) line will be placed into a blood vessel in your arm or chest to give you fluids and medicines. Hair near the incision site may be shaved. Your skin may be washed with special soap to reduce the risk of infection. Just before the surgery, you'll be moved to the operating room. You'll be given medicine so that you fall asleep and feel no pain during the surgery. Recovery time varies for different types of heart surgery. Full recovery from traditional open-heart CABG may take 6 to 12 weeks or more. 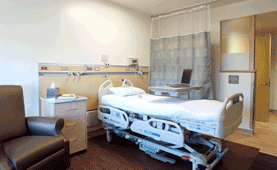 Less recovery time is needed for off-pump heart surgery and minimally invasive heart surgery. Your doctor will let you know when you can go back to your daily activities, such as working, driving, and physical activity. Infection, fever, swelling, and other signs of inflammation. Reaction to the medicine used to temporarily put you to sleep during surgery. Memory loss and problems concentrating or thinking clearly. Damage to tissues in the heart, kidneys, and lungs. Cardiac surgeries can be really complicated at times; especially the ones which are performed under emergency conditions, but the doctors at Indian Health Guru are experienced to handle such cases with maximum success rate. In fact, you start feeling better the moment you step in the medical facility. The staff and the cardiac surgeons in India are really friendly and consider every patient and their families individually, instead of treating you just another medical case they have come across. The kind of atmosphere and the care you expect from a good cardiac surgery hospital in India, you get more than that at the hospital without putting a hole in your pocket. Why consider Cardiac surgery in India? Cardiac care has become a specialty in India with a very good health infrastructure to reckon with. These medical units or hospitals have the latest innovations in medical electronics with unmatched expertise in leading cardiologists and cardo-thoracic surgeons. These cardiac surgeons have the distinction of providing comprehensive cardiac care spanning from basic facilities in preventive cardiology to the most sophisticated curative technology. 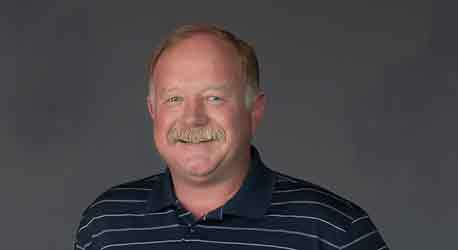 The technology is contemporary and world class and the volumes handled match global benchmarks. Cardiac Surgery in India is available at various hospitals of different cities. The cities have renowned cardiac hospitals which are equipped to handle all phases of heart diseases from the elementary to the latest clinical procedures like interventional cardiac catherisation and surgical cardiac transplants. International patient coming for various heart surgeries do not have to worry about the arrangement while deciding for their cardiac treatment in India. As the Indian medical tourism takes care of every aspect of their medical tour. A patient has to just send a query related to the surgery then rest if their job. They also specialize in offering surgery to high risk patients with the introduction of innovative techniques like minimally invasive cardiac surgery and robotic surgery. The added feature of having your cardiac treatment here in India is the zero patient wait lists for the patients suffering from any cardiac problem. Here they can avail their respective surgery. The cities have renowned cardiac hospitals which are equipped to handle all phases of heart diseases from the elementary to the latest clinical procedures like interventional cardiac catherisation and surgical cardiac transplants. International patient coming for various heart surgeries do not have to worry about the arrangement while deciding for their treatment in India. As the Indian medical tourism takes care of every aspect of their medical tour. A patient has to just send a query related to the surgery then rest if their job. They also specialize in offering surgery to high risk patients with the introduction of innovative techniques like minimally invasive and robotic surgery. The added feature of having your cardiac treatment here in India is the zero patient wait lists for the patients suffering from any cardiac problem. Here they can avail their respective surgery as and when required as the urgency is the priority in India rather than first come first serve concept. What is the Cost of Cardiac Surgery in India?